Let's see what style is in this box! 1. 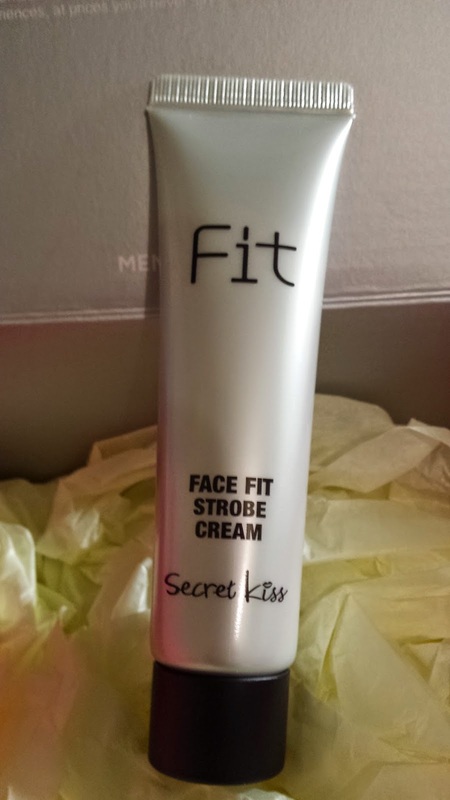 Secret Kiss Face Fit Strobe Cream (full size - 30ml) Strobe cream?! I think of strobe lighting lol! This is meant to be a mix foundation/bb cream which help highlight area on your face such as your T-zone, cheekbones and chin. Would love to try better makeup techniques out. This stuff costs US $11. 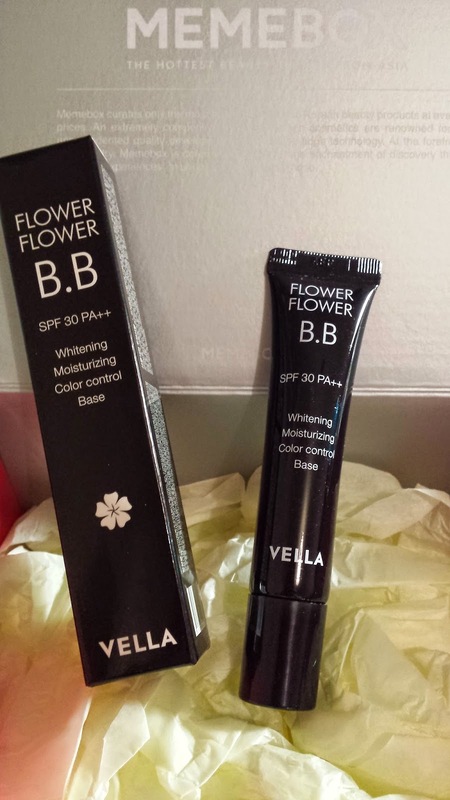 This BB cream works to moisturize and smooth dehydrated skin. This is a great size to put in my make up bag and is able to create that dewy complexion. This sells for US $26. This $8 eyebrow pen is actually a brush type pen that help you get those perfectly groomed eyebrows. The cool thing about this product is that you apply it before bedtime and it will last up to 7 days without you having to re-draw them every morning! I don't draw my eyebrows that much as mine are quite full - but would be interested to see how this product works! 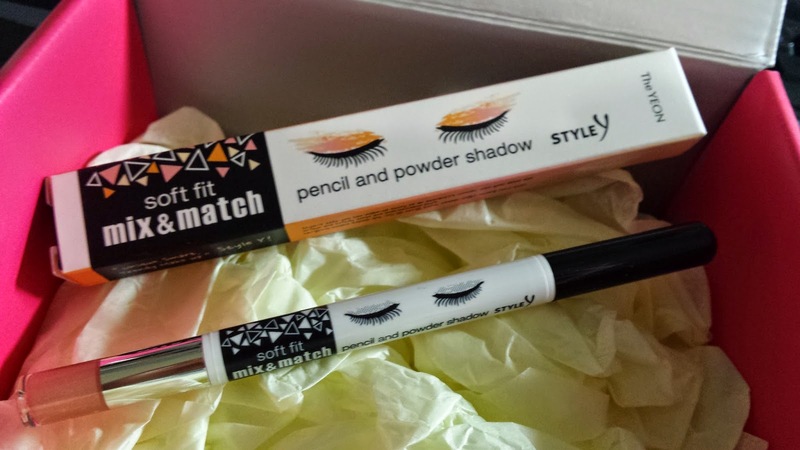 This is an awesome dual pencil with one side being a eye liner and the other is a stick eye shadow. This is greatly convenient to have both in one! The shadow can also be used for your aegyosal (rounded skin under your eyes!) This costs US $9. This beautiful shade of pink is a creamy lip and cheek cream! This means you can either use it as lip makeup or even use it on your cheeks :) So pretty! This costs US $13. 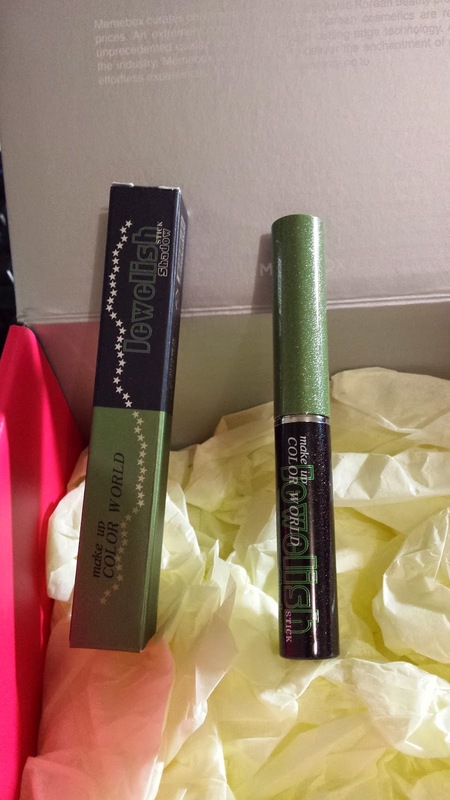 Twinkle Green eye shadow....not sure when i will use this as it seems like such a vibrant colour for me! I realised i should've used this the other day when it was a Halloween...would've been perfect haha. This sells for US $13. Overall impressions of this box is fairy good. 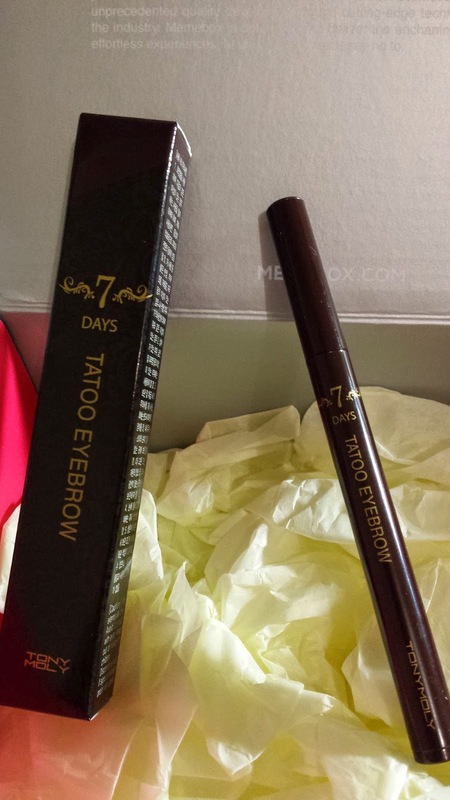 I really like the unique products that allow dual uses as well as the Tonymoly Eyebrow Tattoo pen which sounds really cool. 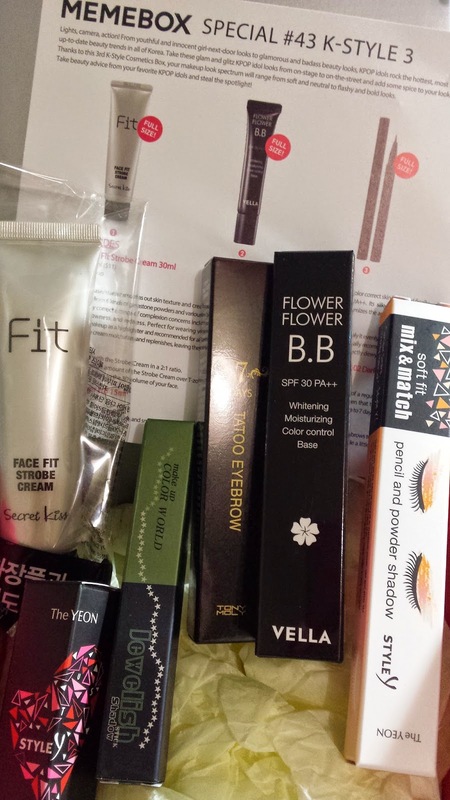 Now time for me to get my Korean Style on!